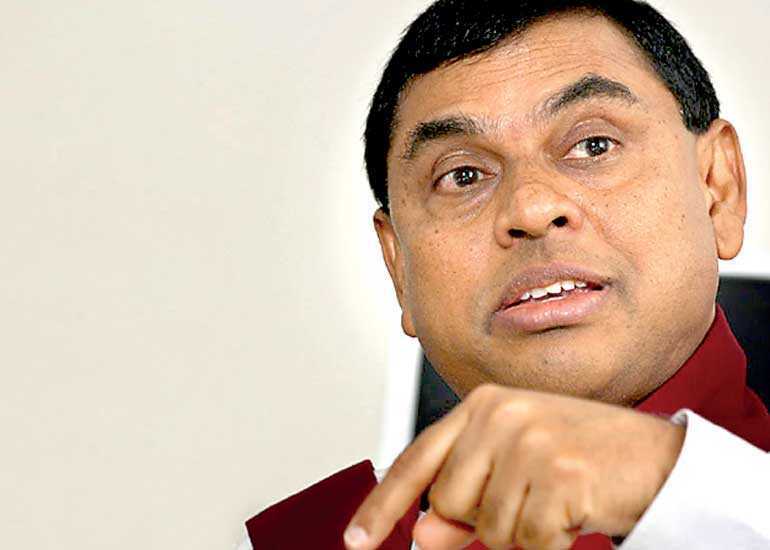 Sri Lanka Podujana Peramuna (SLPP) national organiser Basil Rajapaksa yesterday said the Party members will not support anyone outside the party as a Presidential candidate under any circumstance, and the candidate would have to contest under the Party’s flower bud symbol. Rajapaksa expressed these views during a meeting held at Party headquarters between Gampaha District Local Government members of SLPP. SLPP commenced a series of meetings between Local Government members of the Party from 5 February. The meetings were held based on the Districts. During Monday’s meeting, Local Government members raised their concerns over the Presidential candidate and the statements of certain Sri Lanka Freedom Party (SLFP) MPs over the possibility of naming President Maithripala Sirisena as the Presidential candidate. SLPP Local Government members said they would not support a non-member as Presidential candidate under any circumstances. The Local Government members also pointed out that contradictory statements of the Opposition MPs had created doubt in the minds of the voters, which could be used by other political parties for their advantage. During the meeting, Rajapaksa said priority would be given to the Party and the Party would not take any decision without the consent of the members. “The Sri Lanka Podujana Peramuna was built-up from the village. This is a political party in which the voter base was built even before leaders of the party emerged. Therefore all the decisions of the party would be taken according to the will of the members,” he added. He noted that SLPP would remain as a Party that gives its priority for members rather than the leaders of the Party. Rajapaksa assured that the Party would remain transparent and would not betray its members. “Party leadership will never ask the members of the Sri Lanka Podujana Peramuna to support anyone who was approved by the members. Therefore I can assure the next Presidential candidate will be a member of our Party and we will contest under the symbol of Pohottuwa (flower bud),” he added.